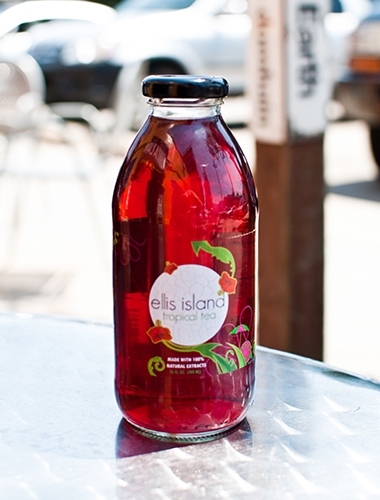 tThe story of Ellis Island Tropical Tea has come full circle as the Detroit-based beverage manufacturer has expanded by sending 75 cases to the gift shops and cafes at the Statue of Liberty and Ellis Island in New York. tThis isn’t the only major breakthrough for Ellis, who first began commercially selling the hibiscus tea in 2008 and just recently opened a production and co-packaging facility on Clay Street, near the Russell Industrial Center in Detroit. The 26-year-old is in Chicago this week, offering samples of her product at five Whole Foods stores in the city. tBeyond expanding distribution of her product, Ellis says she plans to begin offering consulting services for specialty beverage companies in the near future. tEllis Island Tropical Tea is sold at nearly 20 stores in Michigan, including Whole Foods, Westborn Market, Avalon International Breads, Goodwells Natural Foods Market, and Detroit’s historic Eastern Market.